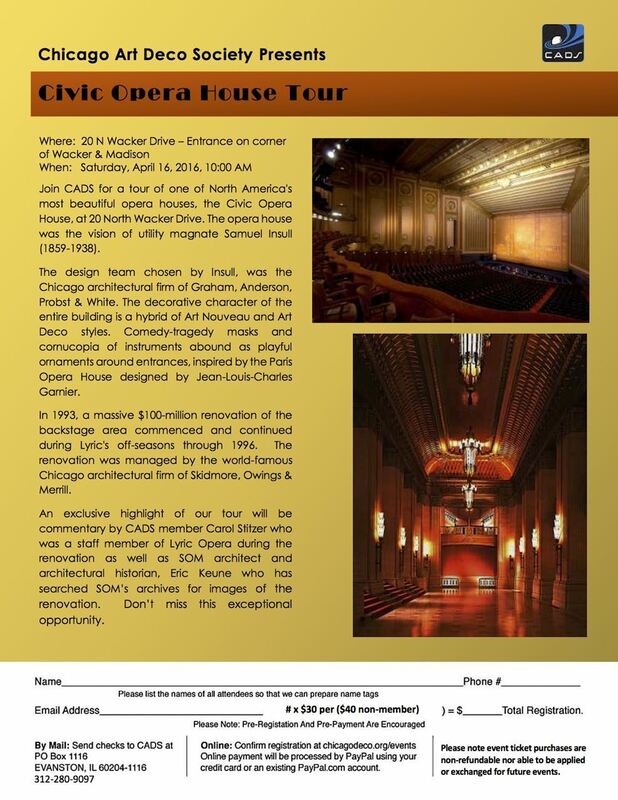 Join CADS for a tour of one of North America's most beautiful opera houses, the Civic Opera House, at 20 North Wacker Drive. The opera house was the vision of utility magnate Samuel Insull (1859-1938). The design team chosen by Insull, was the Chicago architectural firm of Graham, Anderson, Probst & White. The decorative character of the entire building is a hybrid of Art Nouveau and Art Deco styles. Comedy-tragedy masks and cornucopia of instruments abound as playful ornaments around entrances, inspired by the Paris Opera House designed by Jean-Louis-Charles Garnier. In 1993, a massive $100-million renovation of the backstage area commenced and continued during Lyric's off-seasons through 1996. The renovation was managed by the world-famous Chicago architectural firm of Skidmore, Owings & Merrill. 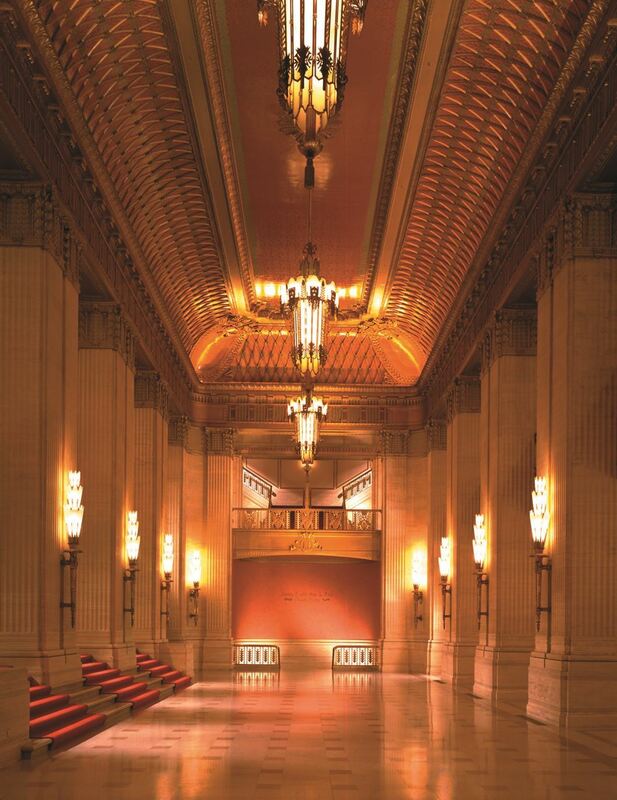 An exclusive highlight of our tour will be commentary by CADS member Carol Stitzer who was a staff member of Lyric Opera during the renovation as well as SOM architect and architectural historian, Eric Keune who has searched SOM’s archives for images of the renovation. Don’t miss this exceptional opportunity!! !